Sometimes, actors from a popular show have difficulty finding other work but that doesn’t seem to be the case with the cast of Cheers! Ted Danson spent six seasons starring on the CBS sitcom Becker and does occasional tv movies and projects with wife Mary Steenbergen. Comic actress Shelley Long has done occasional movies like The Brady Bunch Movie and its sequels, as well as several tv appearances. Kirstie Alley starred on NBC’s Veronica’s Closet between 1997 and 2000, is featured on Jenny Craig commercials and most recently starred in Fat Actress — a “reality show” done in the style of Curb Your Enthusiasm. Besides his great run on Frasier, Kelsey Grammer has spent his time doing Broadway theatre, voicing a recurring role on The Simpsons as Sideshow Bob and produced the short-lived Kelsy Grammer’s Live Sketch Show. Woody Harrelson graduated to movies and has starred in such films as Wag the Dog, Thin Red Line and People VS Larry Flynt as well as appearing in guest spots as Grace’s boyfriend “Nathan” on NBC’s Will & Grace. Rhea Perlman occasionally works in movies like Matilda & television shows like Kirstie Alley’s Fat Actress, sometimes with her real-life husband director, producer and actor Danny DeVito. Bebe Neuwirth won the 1997 Leading Actress in a Musical Tony Award for Chicago as “Velma Kelly” on Broadway and was also a regular on NBC’s Law & Order: Trial by Jury. 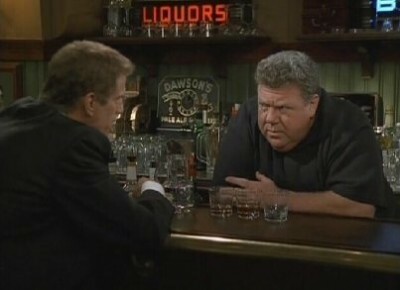 George Wendt had a recurring role on Sabrina the Teenage Witch as well as appearing in a variety of tv (including Ted Danson’s Becker) and movie projects. John Ratzenberger had a recurring role on 8 Simple Rules… for Dating My Teenage Daughter, has been the host of the Travel Channel’s John Ratzenberger’s Made in America series, as well as has provided voices in several Disney animated projects including The Incredibles and Toy Story. Though the series of Cheers ended it’s network run in 1993, the show continues to be incredibly popular. More popular than most other shows in tv history. I think it’s in large part attributable to the love that the cast, creators and audience have for these characters. As it’s been said before, Cheers was never just a show about a bar.